* ... REVOLVING DOOR: Is 5th District Supervisor Leticia Perez really considering a run for the State Senate after being in office only three months? That appears to be the case and it has many folks shaking their heads about the revolving door of local politics. 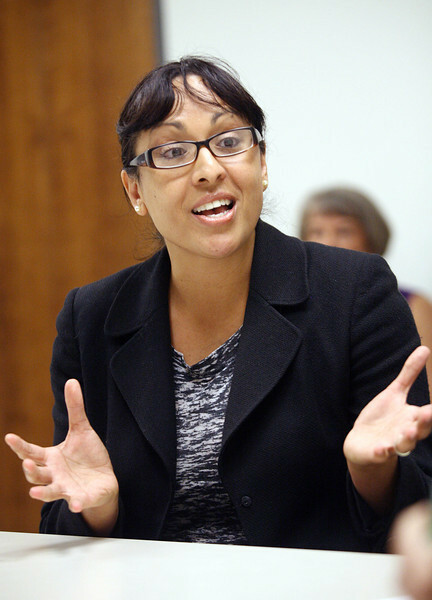 First there was Rudy Salas, who served two years on the City Council only to jump to the state Assembly, and now comes (possibly) Leticia Perez. Perez said she would consult with her inner circle before deciding to run for the Senate seat being vacated by Michael Rubio, prompting one supporter to write a letter to the Californian. "She should think less of her political future and more of the needs of those who enthusiastically supported her," wrote Raymond Gonzales. 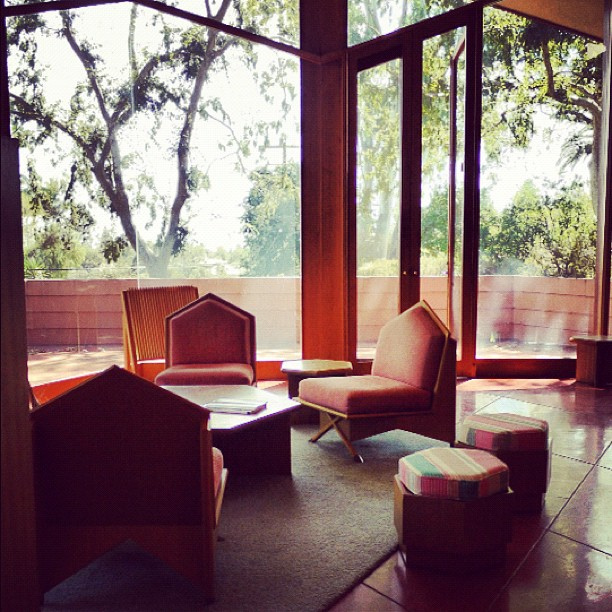 * ... ABLIN HOME: If you ever wanted to tour the magnificent Ablin home, the Frank Lloyd Wright-designed masterpiece in the Bakersfield Country Club area, here is your chance. Covenant Community Services, the group that supports current and former foster youth, is holding a breakfast fund raiser this Saturday that includes a tour of the property. The cost is just $45 and it goes to a good cause. Call Scott Gray at Covenant at (661) 302-3137 to reserve your seat. The breakfast and tour run from 9 a.m. to 11 a.m.
* ... ZONING: There is a stink brewing over a proposed new apartment project in the Seven Oaks area. Residents of River Run and Grand Island are now meeting to actively oppose the construction of apartments on a 10-acre piece of property at the corner of River Run and Ming Avenue across from Grand Island. 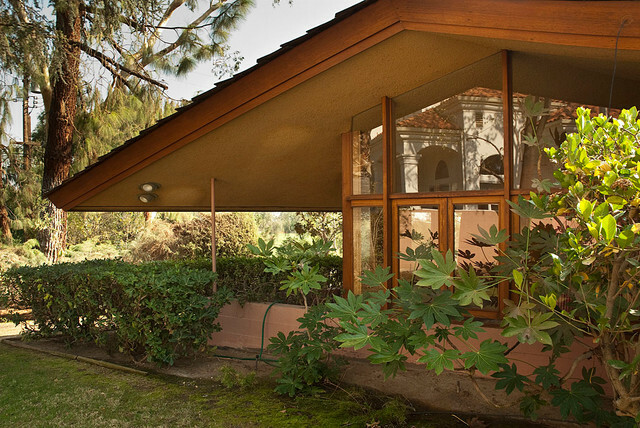 The land was previously owned by the Panama Buena Vista Unified School District, but was sold to a company that is now applying to change the zoning to allow for apartments. Stay tuned. * ... VALENTIEN: Hard to believe it has been 10 years since the fine dining restaurant Valentien opened at the corner of Oak Street and Truxtun. Among the changes planned this year is a nightly prix fixe menu that will be offered for just $25. Lunch, Friday only, will also feature a prix fixe for $16. * ... SPOTTED: Kudos to the small, fit woman on the Panorama Bluffs picking up trash that others so selfishly dumped along the walking trail. The curb along Panorama at the park seems to be a favorite spot to dump your fast food wrappers and soda cups. * ... JACK SMITH: The movie rental company Redbox may think Bakersfield is not a romantic city, but former Los Angeles Times columnist Jack Smith sure did. His nephew, Mike O'Neill, remembers his uncle describing Bakersfield as "the most romantic city in America. I am sure this was his feeling based on the fact he met and married my aunt in Bakersfield during the late 1930s. They had a long and wonderful marriage. His family even placed a large brick at the Centennial Gardens plaza commemorating his thoughts: 'Bakersfield, the Most Romantic City in America.'"